Most plumbing issues in your home are caused by the buildup of food remains, grease accumulation, and chemical concentrations. Some clogs can even be caused by dirt particles and hair buildup in the drain. In some cases, these problems are easy to diagnose and correct on your own without requiring any expertise. But at their worst, you may require emergency plumbing services for professional cleaning and/or technical repairs. 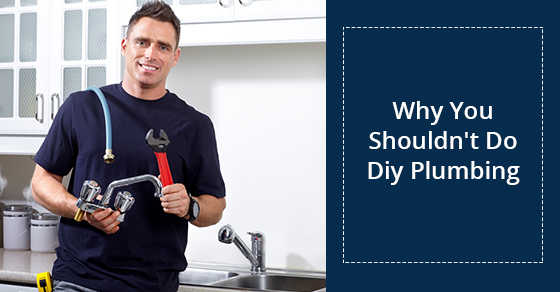 Doing some of these jobs yourself can be quite rewarding, but you should still contact your plumber for tips to DIY correctly. Doing routine performance checks on your drains can help to limit the need for professional plumbing inspection and repair services to once or twice a year. But any dangerous plumbing should be left to the experts to avoid serious injury or costly damage. 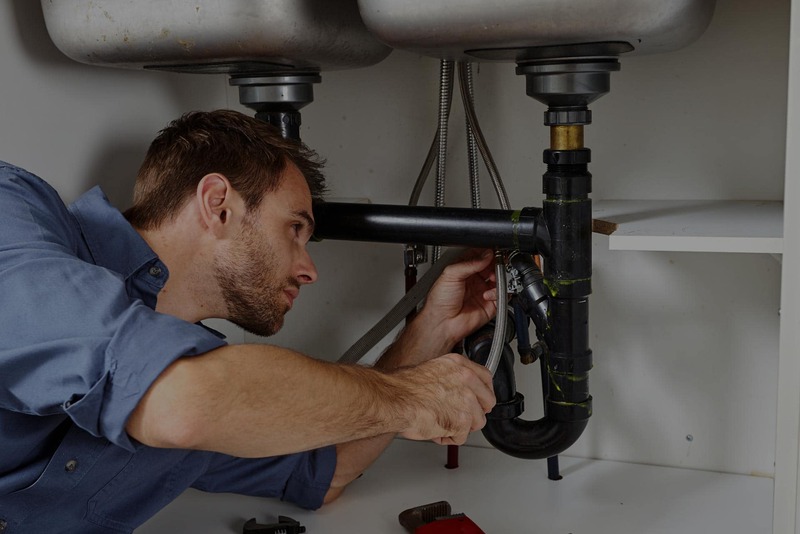 If you’re planning on getting a dishwasher, water heater, water treatment system, or other appliances and systems that need to be connected to your plumbing system, you should consider hiring a plumber to handle the installation. Dishwasher installation – Installing a dishwasher involves a lot more than simply connecting it to the water line and fitting it into the allotted space. Although these are the two important steps, the fact that dishwashers are installed underneath or adjacent to cabinets makes the job complicated. This is because any sharp twists or curves in the water line can lead to serious leaks that can go undetected for awhile, cause gradual damage to surrounding structures, and lead to costly water damage repair. Water heater installation – In addition to water leaks, improper water heater installation can lead to gas leaks or even house fires. Any gas connection in your home should be done by a professional to prevent such risks. Even if you have an electric water heater, it should still be installed by a professional. Incorrect installation could cause steam and water to escape, leading to the growth of mould. Water treatment installations – You may choose to install a water filtration and softening system in your home to help get rid of contaminants and soften hard water. This process requires you to make alterations to your existing water system at all inlets connected to the main water lines, which includes new fittings and welds. Hiring a skilled professional will not only save you the hassle, but also ensure that the installation is correct and effective. Generally, any appliances and systems connected to the water supply and/or drain system should be installed by a professional to reduce the risk of leaks and water damage. Hiring professional plumbers can help you do the installation right the first time, giving you peace of mind and confidence in your new appliance. Serious Drain / Pipe Clogs and Blockage Repairs – You can clear minor clogs and correct slow water drainage yourself by using a plunger or drain snake. But if plunging doesn’t seem to fix the problem, then you should contact your plumber. Keep in mind that the problem with blocked drains could also be outside your property, in which case the sewer repair work should be handled by city officials. A professional technician can help you detect the origin of the problem and recommend appropriate action to fix it. If the plumbing issue is within your home, it should be professionally fixed to reduce the risk of leaks, water damage, or damage to your home, such as walls, fixtures, pipes, and furniture. Low water pressure – This problem is unlikely due to issues with your internal plumbing. Over time, the main city line deteriorates due to tree roots and obstructive debris, damage from earth movement, and natural deterioration. You need a professional plumber to dig the ground and locate the damage. You can also contact your plumber for emergency plumbing services, such as frozen pipes, if you forgot to turn off your main water supply and drain the pipes before going on winter holiday. Pipe-fitting – Considering that pipework typically runs behind the walls, once a plumbing fixture has been replaced and the wall plastered, it won’t be possible to assess its quality over time. Poorly made pipe fittings can weaken and begin to leak over time, causing mould growth and other moisture damage hidden within the walls that won’t be detected until it requires expensive repairs and cleanup. Re-routing piping – Whether you’re installing new water fixtures in a room addition project or replacing and/or updating and adding fixtures in your bathroom or kitchen, such as sinks, toilets, and bathtubs, it’s important to get professionals to help you add new segments to the existing system. A plumber has the skills and experience to design and install new water lines, intakes lateral connections, and drains without causing any damage to the lines in your home, while ensuring that the existing pipe infrastructure can handle the additional load. A professional can help you avoid common problems during home improvement projects, such as sewer damage, main line breaks, floods, pipes connecting back on themselves, or even pipes heading nowhere. Generally, it is best to consult a professional plumber before attempting any installations, repairs, or adjustments to your plumbing system. For minor problems, they can recommend tools, brands or models, safety measures, and tips to help you handle the job yourself safely and effectively. And when you need them to come to your home, they will take you through what needs to be done, give you an estimate of the time and costs, and schedule the job. Hiring an experienced technician ensures that the job gets done exactly as it should with minimal risks. For more information concerning our services, please call us at 877-317-5593 or contact us here.